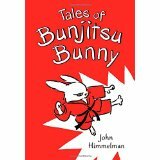 BUNJITSU BUNNY Gets a Starred Review from The Horn Book! Previous Post Alma Books Hits £1 Million Mark in Annual Turnover in 2014! Next Post Another Starred Review for the Latest in THE OLYMPIANS Series!